Summer is a fantastic time to be at the beach. You get to enjoy the warm sunshine, see lots of attractive people sunbathing, you get to enjoy a refreshing swim in the sea or simply lay back and relax with a good book. There are so many fun things to do on Camps Bays beaches in summer. For your peace of mind, Camps Bay beach has a life guard station during the high season and has been given Blue Flag status for cleanliness, environmental management and water quality. 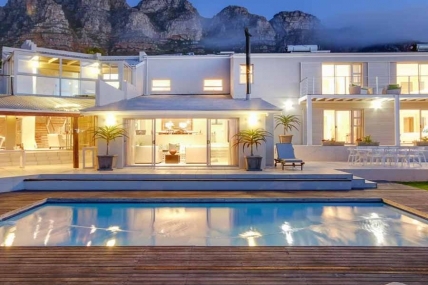 Camps Bay has become a popular suburb for tourists all around the world looking for beach homes to rent throughout the year so they can easily access all the wonderful beachside activities. 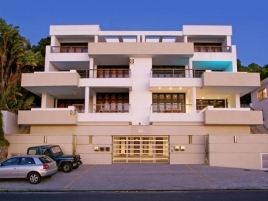 The beach houses in Camps Bay attract famous names in international sports, film, music or modelling. 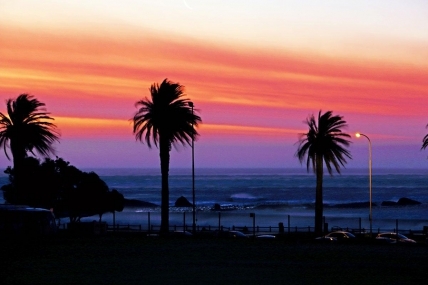 Celebrities who have graced the Camps Bay beach include David Hasselhof, Orlando Bloom, Jared Leto, Elijah Wood, Liv Tyler and Scarlett Johansson, just to name a few. 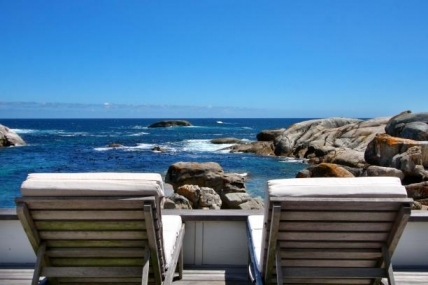 When you spend your next vacation at one of our self-catering beach houses in Camps Bay you might just spot someone you recognize from your favourite movie or gossip magazine. 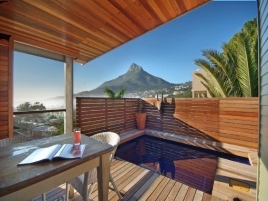 Many of our top notch beach homes available for short term rental in Camps Bay were designed by expert architects who have made full use of space, location and views. 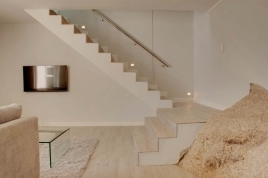 Our spacious beach holiday accommodation is often set over more than one level which ensures uninterrupted views of the Atlantic Ocean and the Twelve Apostles mountain range from upstairs balconies. 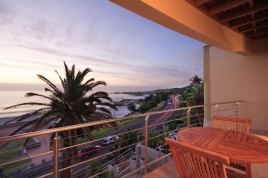 What better way to end your day than a drink on the balcony watching the glorious African sun dip into the ocean? 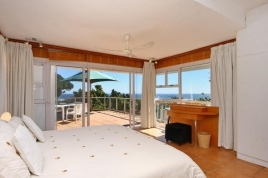 Our self-catering beach house rentals are furnished by experienced interior decorators who create an atmosphere that combines elegance and relaxation, making for the perfect holiday setting. 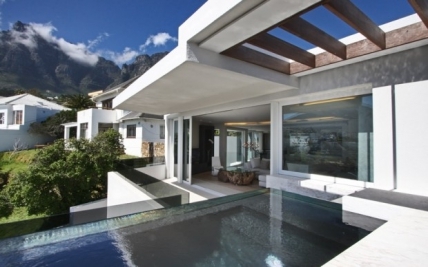 Some of our properties set along Camps Bay's beach front have wonderful features you wouldn't find in the average home. 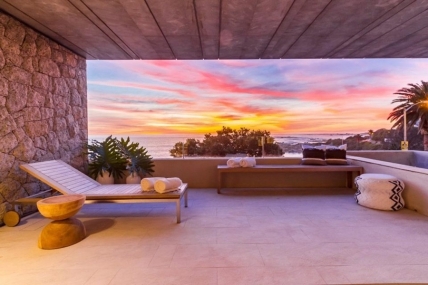 Imagine soaking in a large bath tub with bubbles tickling your nose, a flute of champagne in your hand while enjoying the views of the ocean. It's a lovely way to relax. Follow your luxurious soak with a relaxing evening on the couch with a light novel or a movie. 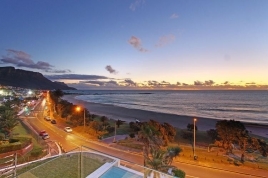 If the quiet life isn't your style, the location of our Camps Bay beach villas make it great base from which to explore the area while on your holiday. There are a variety of restaurants, bars, cafes and night clubs along the beach front, often within walking distance of our beach house rentals. If you plan to spend the night drinking make sure you have the number of a reliable taxi cab company on hand to ensure you can get home safely. 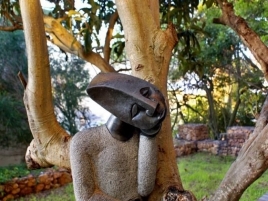 There's no need to worry about cooking or staying indoors and being bored during your holiday in Camps Bay. What more can you ask for to have a peaceful getaway? 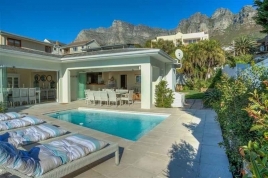 Browse through our list of beach house rentals in the Camps Bay area to find the ideal self-catering holiday accommodation for you and your family.